With technology surrounding us to help complete our everyday chores, cleaning your house can be still one of the most daunting tasks. Especially, when you have pets and toddlers, cleaning your home feels like a never-ending task; pet hair, crumbs, paper fragments, and dirt keeps building up in some corner no matter how many times you clean your house. Robot vacuums are considered a revolutionary creation in this regard. They are compact, easy to use, work great on different floor types and can save your house cleaning time. These robot vacuums feature powerful suction and cleaning mechanisms that can clean even the thickest of carpets from any type of pet hair. You don’t have to worry anymore about the pile of pet hair adding up in every corner, as these robot vacuums are made with artificial intelligence that can detect even a small amount of dirt and pet hair anywhere. iRobot and Neato Robotics are considered one of the best manufactures of self-cleaning vacuums. Both of these companies make highly intelligent, super-efficient and an extremely handy range of some of the best robot vacuums for pets. In this article, we will explain the pros and cons of the Roomba range by iRobot and the Botvac range by Neato Robotics. Before going into the pros and cons of both these brands, let us view a little history about how these companies started making some of the best robot vacuums. iRobot was founded in 1990 in Delaware, Md by three roboticists from MIT, Colin Angle, Helen Greiner, and Rodney Brooks. After more than a decade of manufacturing military products, iRobotintroduced its first domestic product in 2002, a self-cleaning robotic vacuum — the Roomba. Roomba started gaining fame among people and in just two years, a million Roombas had been sold. After the success, there was no going back for the company. Various new designs have been successfully launched and sold after the first Roomba. Till date, iRobot has sold more than 20 million robots worldwide. Over the years, several competitors rose against the Roomba. Neato was one of the strongest contenders offering new and improved technology to consumers. 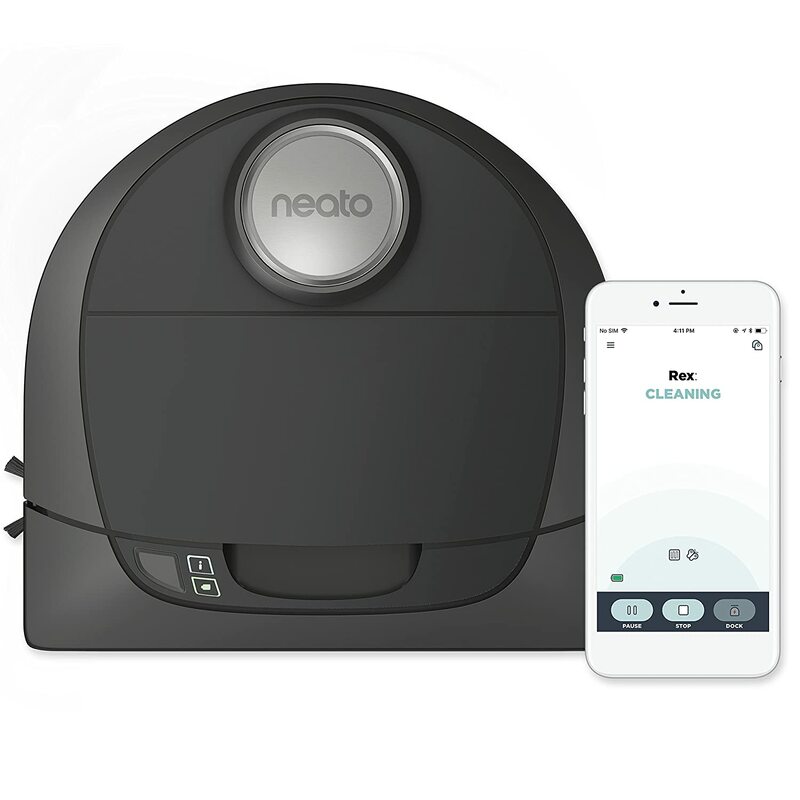 Neato Robotics is a robotics company founded in 2005 and located in Newark, California.The company released its first robotic vacuum cleaner with intelligent navigation in 2010. This product initiated the core design and functionality found in all successive Neato models which was called the Neato XV-series. Numerous upgradations were made in the Neat XV-series with more powerful vacuum fans and extended battery life. 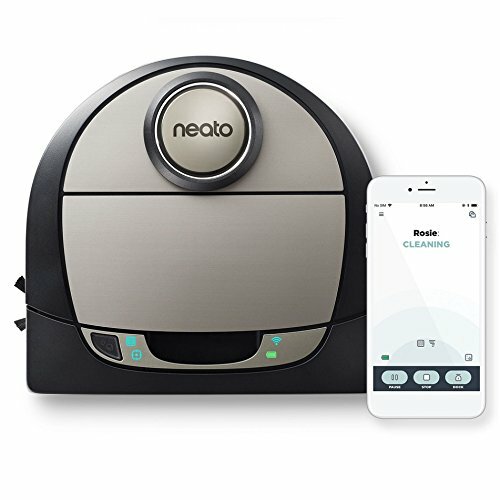 Finally, in 2014 Neato Robotics upgraded the Neato XV- series with an extended model with a side brush for better cleaning – the Botvac. The new Botvac series introduced major changes such as less frequent servicing and covering larger area for cleaning etc. First, let’s look at the main cleaning system of the robot vacuums, that is the main brush. The Roomba consists of two brushes rotating in opposite directions. The major advantage from this is that both the brushes are tangle-free, so they require less maintenance. There is much less pet hair, dirt and clutter tangled around the brush. However, the BotVac has a simple and thus requires cleaning more often. But the BotVac’s brush is broaderin shape than the Roomba’s one, and hence covers a wider area of the room every time. Now let’s look at the shape of both robotic vacuum cleaners. The Roomba has a traditional round shape that every other robot vacuum has. All Neato vacuums have a unique D-shape. This shape comes in handy with the main brush. The brush is located at the front of the vacuum and its length is nearly equal to the width of the robot. So, the Neato is a bit faster and also efficient at cleaning corners at your house due to its unique D-shape. Lastly, in regard of the display, the Roomba has only a set of multi-function buttons and the BotVac has a color LCD screen. It is easier for operating the robot and scheduling its actions. One of the main differences in the software of these robotic cleaners is systematic cleaning. Although pioneered by Neato and appears in all of its designs, the Roomba 980 has also introduced systematic cleaning. This type of cleaning is based on a SLAM algorithm which stands for Simultaneous Localization and Mapping. The robotic vacuum builds and update a map of the room while cleaning. The major advantage of SLAM is a much quicker cleaning and covering a wider area with a single battery charge, which is offered by every Neato design. Both these robotic cleaners use a different technique to achieve systematic cleaning. From the beginning, Neato offers a 360 degrees laser range sensor in its vacuums, and hence performs Laser-based SLAM. The Roomba uses a camera, oriented 45-degrees towards the ceiling, and thus achieves Visual SLAM (VSLAM). The laser-based cleaning of the BotVac is superior in functionality to Roomba’s camera for the fact that a camera cannot operate in the dark and it cannot precisely estimate distances. This is the reasons that Roomba still bounces on furniture. 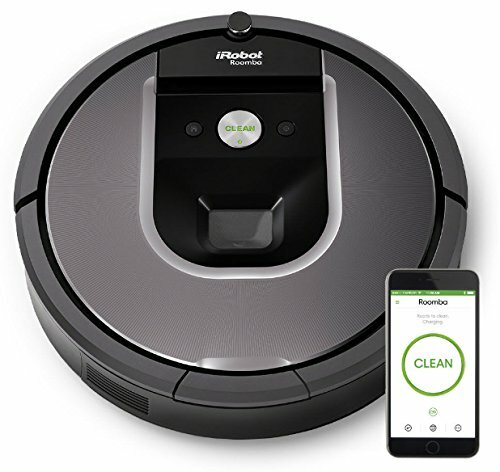 Both the Roomba and Neato series offer many similar features including the scheduling and self-charging in the Botvac Connected series and the Roomba 980. Both these are Wi-Fi enabled and you can easily set up your vacuum to operate from anywhere through their smartphone apps. After cleaning, the vacuum goes back to its docking station for recharging.Both vacuums also detect the kind of floor and automatically adjust the pressure to pick up dirt accordingly. For harder cleaning or digging a lot of pet hair out of carpets, we really like the iRobot Roomba 960. It offers much more cleaning power than many expensive robotic vacuums and a highly efficient navigation system that lets it clean on every floor type without missing any patches. Compared with other full-featured and expensive robot vacuums, the Roomba 960 is a better balance of price and performance. For more information about iRobot Roomba 960，please check out customer reviews on Amazon. Roomba 690 is a powerful and relatively affordable robot vacuum cleaner. It offers high functionality for a low-priced vacuum, including operations control via smart phone and support for voice commands. It works great on all floor types and its Dirt Detect Technology identifies any concentrated areas of dirt and debris and provides thorough cleaning in those spots. For more information about iRobot Roomba 690，please check out customer reviews on Amazon. If you have a large floor and you worry that your vacuum might end up dead before cleaning it all? Then don’t panic as the Neato BotvacD5 vacuum’s ability to go right back at the same spot where it left after the battery is charged, is your new savior. This bot cleaner glides effortlessly on carpets and picks up everything from any type of floor. It can clean in the dark with its intelligent laser sensors, so you can easily schedule your vacuum even when you’re sleeping and Voila! you’ll wake up to a clean house. For more information about Neato Botvac D5 Connected，please check out customer reviews on Amazon. Neato Botvac D7 provides a smart mapping system that lets you plot no-go areas for the cleaner, allowing the device to keep the part of the house that you want to use tidy, while overlooking other areas. In this way you can protect any valuable rug from the vacuum. Smart navigation lets the Botvac D7 get around easily, covering most of a home with ease. It offers powerful cleaning even against walls and in the corners and it has a low-profile body which makes getting under the furniture easy for it. But it is wide and so may not fit between all gaps. With all its features, Botvac D7 is one of the smartest robot vacuum cleaner in the market right now. For more information about Neato Botvac D7 Connected，please check out customer reviews on Amazon. In conclusion, both the Roomba and Neato series are offering some of the best robot vacuums. Both offer powerful suction and make sure thorough cleaning of carpets and every floor type. Some of them may be a little pricey than other robot vacuums in the market but they offer better functionality and features than any other vacuum. Between Roomba and Neato series, my personal choice is the Neato Botvac Connected robot vacuums because all their designs have systematic control and they feature laser sensors which makes cleaning in the dark easier. 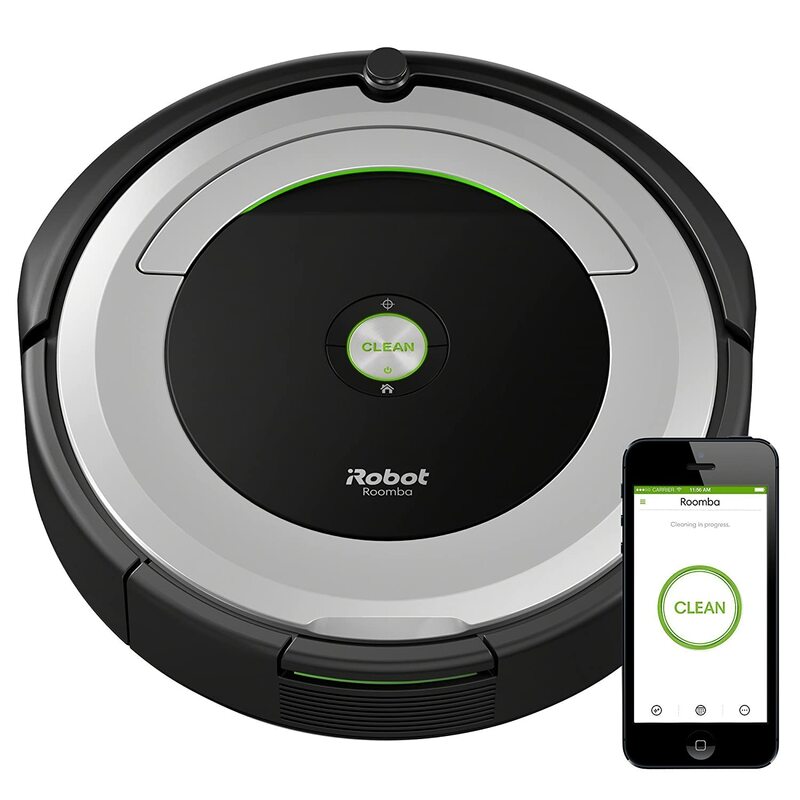 And they cost less than their competitor in systematic cleaning, the iRobot Roomba 980. Lastly, if you want a strong powerful vacuum cleaner for some corners that these robot cleaners can’t reach or you need to vacuum the carpets in the car, the Dyson V10 is not a bad option, please checkout our article about the best cordless vacuum cleaner.